The paper is from the DCWV Luxury Stack 2. The title was stamped using a set of mini letters from Stampin' Up, and I think the ink is also Stampin Up too. The embellishment is from a kit I bought at Disney World. The journalling square is outlined using Waterfall stickles. 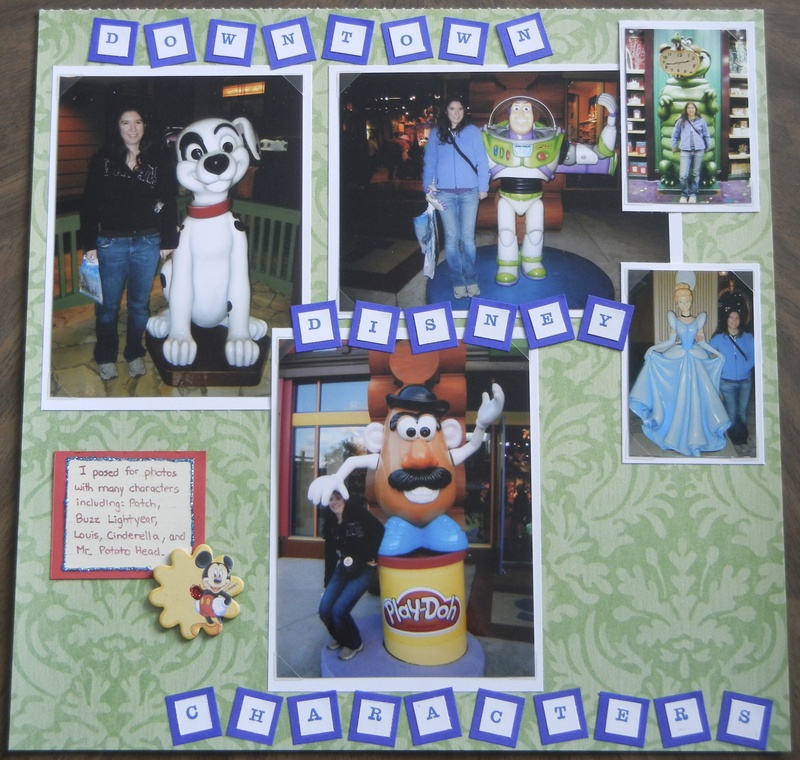 Journalling: "I posed for photos with many characters including: Patch, Buzz Lightyear, Louie, Cinderella, and Mr Potato Head."